I have owned this Explorer since it was new. It has never been in an accident. Never had body damage. Then, while sitting in the garage for a week, the panel in the tailgate cracked. Apparently this is a known problem that Ford seems to do nothing to resolve. Terrible. 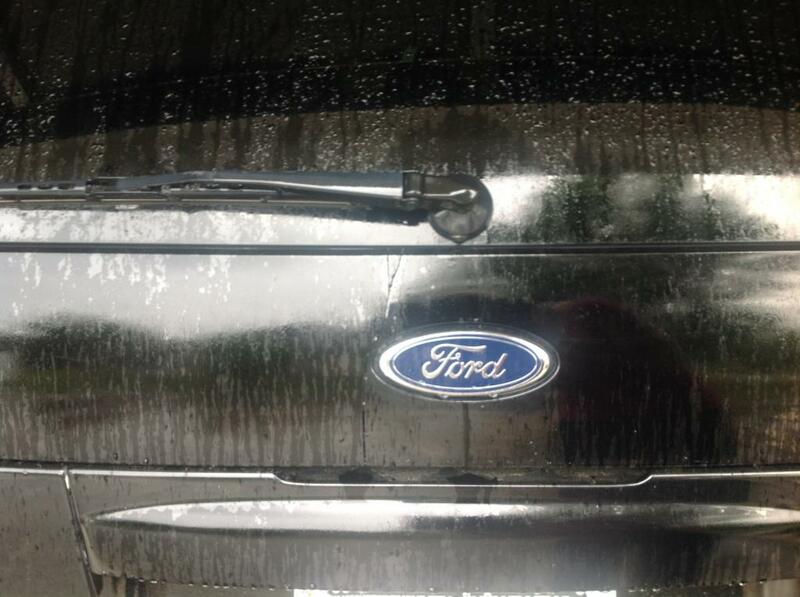 It is obviously a design flaw and Ford needs to fix this for its loyal customers. 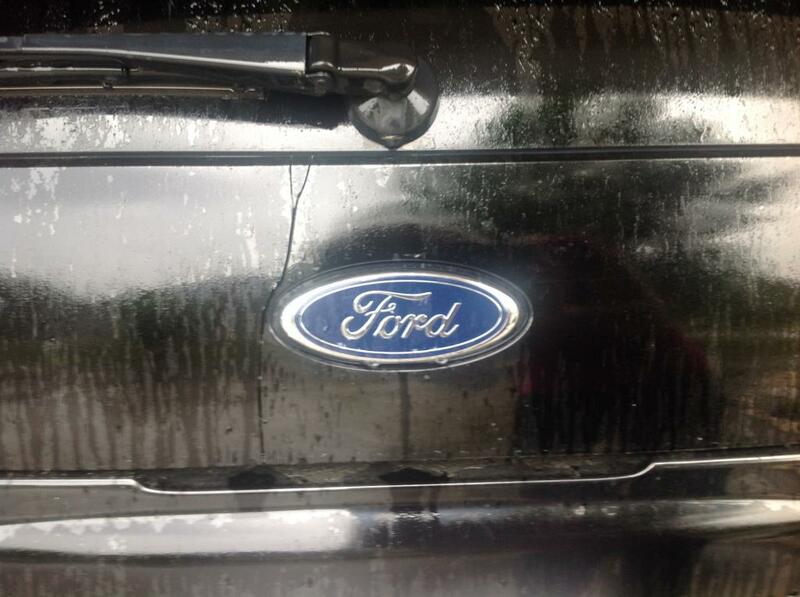 Ford should replace the back gate, it is completely cracked through. I will first start off with the good about my Explorer. I have owned this SUV since new and now at 100,000 miles it has NEVER broke down and only required tires brakes and three battery replacements. But!! This same old story is getting old as hell. I live in Dallas and Denver so the truck has experienced quite a difference in climates (although I would think that shouldn't matter). The first time it happened was at 4 years old and 37,000 thousand miles just out of warranty after the third day of 110+ temps in Dallas while parked at my office. I had it repaired for $450 (plus $200 for a rental) after trying to have Ford cover part of the cost. Now, I walk into my garage after a very cold night in Denver and of course, it's back again! Ford just needs to step up to the plate and take care of their embarrassing mistakes. Panels have started to rust due to this problem. When you "Google" the problem it appears that this is very common. This should not have occurred. Ford, make this right. 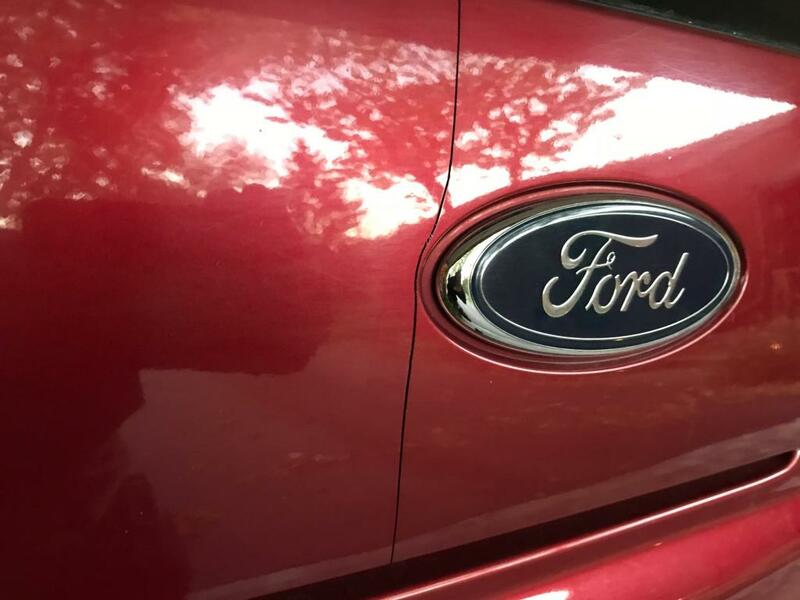 I just bought this 03 Ford Explorer last month ( Nov 2016 ).On 12/07/16, I discovered a crack in the panel below the rear window that runs down to the Ford Emblem. I am very concerned and sick on my stomach, after reading all the complaints about cracked panels. To support the cause, I decided to file a complaint along with all the others. I have not repaired this problem, and feel Ford Motors is responsible. There are serious safety issues associated with this matter and a recall is warranted. Second time this panel has cracked.. Will have to replace again.. THE CRACKS IN THE REAR PANEL OCCURRED TO NO FAULT OF MY OWN; HOWEVER, BECAUSE OF THIS CRACK, THE VALUE OF MY CAR FOR FUTURE RESALES IS GREATLY DECREASED. THE CRACKS BEING LOCATED NEAR THE BACK GLASS WINDOW, ALSO BRINGS INTO QUESTIONS THE STABILITY OF THE GLASS PANEL. VERY UNSIGHTLY. 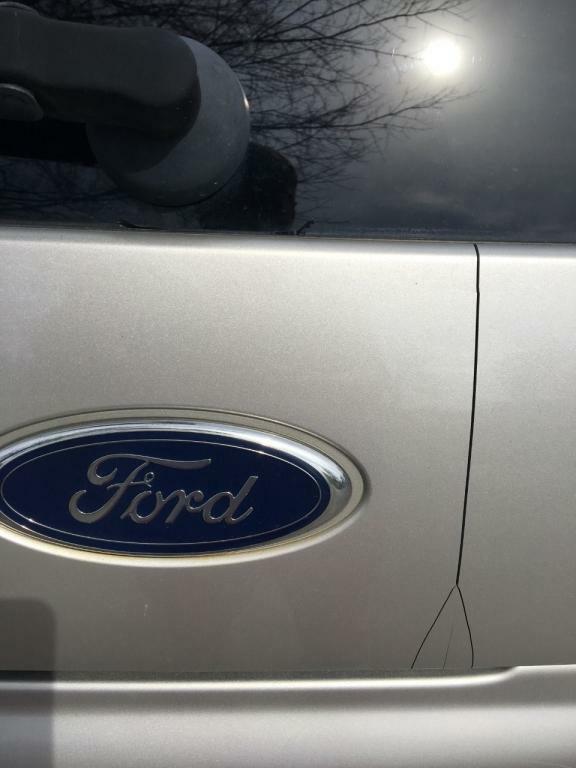 I purchased this 2003 Ford Explorer new and in 2006 I noticed the crack in the tailgate. Two Ford dealerships told me it was my fault for closing the glass too hard and not covered and of course no one else had this problem. Over the past 13 years I've noticed this crack in the same place on almost every Ford Explorer made in the early to mid 2000s. Today I was behind three different Ford Explorers all with the same crack in the same location. I didn't uses the glass often and knew I'd never slammed it. Yes, I'm glad the vehicle is still running well after almost 13 years, but it only has 70,000 miles, has been kept in a garage and considering all of the complaints about this issue and the same defect on every one you see on the street this is definitely a Ford design defect and they should own it and fix it. I purchased a new car a little over a year ago and never once considered Ford because they lied about this and didn't fix it. I am disgusted that the crack in the rear panel under the rear glass is not covered under a recall. You take it in and they just look at you like you are crazy. Well now, my whole back panel (glass and all) is about to fall off the back of my truck. HOW THE HELL AM I SUPPOSED TO FIX THAT??????? THIS IS A KNOWN ISSUE WITH FORD AND NUMEROUS TSB'S. THE REAR PANEL LIFT GATES ARE CRACKED FROM 02-05. I WANT MINE FIXED BY FORD AT THEIR COST JUST LIKE EVERYONE ELSE. This was the second car that I ever bought,My first car was in 1979 so when I now buying my second brand new car and having it a little over a year and the back panel crack just because its winter just broke my heart. I call Ford Motor Co and they told me that I would be responsible to have it fixed at my own expensive. which I was going thru a divorce and couldn't afford the 600 to 800 dollars to fix it. then driving around town I starting noticing all the Ford cars that had cracks just like mine...Explorers and Mountaineers i mean thousands and thousands of cars all cracked in the same place and Fords is sayings its not there fault and its not a defect come on this should of been taking care of years ago I want to sell this car and I have nothing but I have to cut the price down because of Fords not fixing the problem that they should of back in 2004. I keep reading this is a problem on here by so many people why isn't Ford doing a recall? 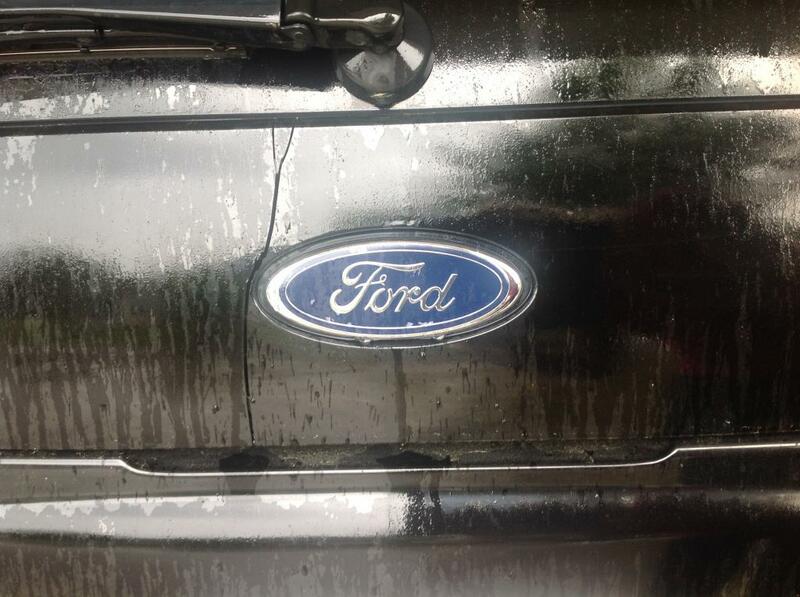 Come on Ford Motor Company this is dangerous not only to the people driving the vehicle, but the potential hazard this can cause to someone driving behind this vehicle or other vehicles with this issue. I am on a fixed income as a disabled person I don't have 600 bucks to fix and then hear it will keep happening. Just want Ford to repair this. Tailgate problem takes away from the value and appearance of the vehicle. added to the class action suit forthwith. PS i have a photo of this but it is not posted on url.